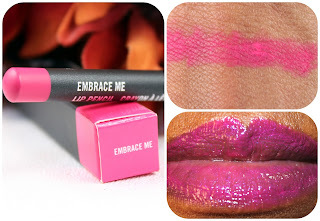 I'm wearing Mac's Embrace Me Lip Pencil with Mac's Embrace Me Lip Glass reviewed here. 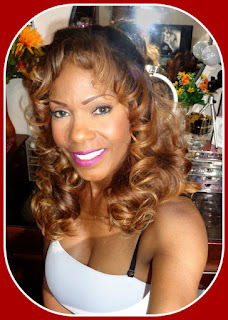 This is a beautiful pink that might be a little too light for my taste, because of the deeper pigments in my lips, I tend to go with darker colors. 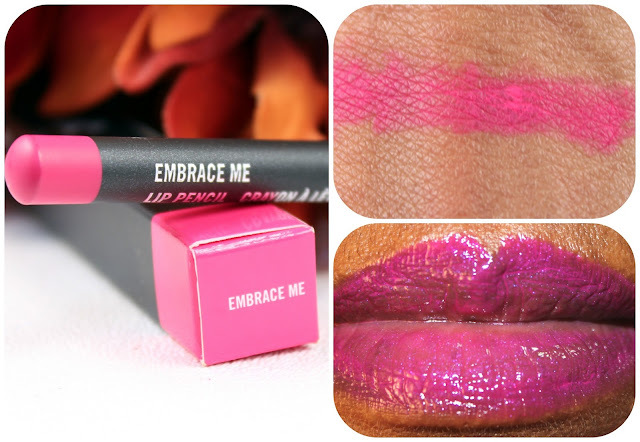 Both products compliments Mac's Embrace Me Lipstick reviewed here.